hile the author(s) of Matthew attempts to journey through inspiringly particularized narratives to demonstrate how Jesus of Nazareth is the fulfillment and perfection of Moses as lawgiver in His Sermon on the Mount (ch. 5), which post-figures Moses’ issuance of the law at Mount Sinai, they do not attempt spare Jesus the courtesy of avoiding typology with several of the other prophets who spoke with extremely strong and dire oracles, which were prefaced with the exclamation ‘Woe . .’. Matthew’s ‘woe’ exclamations, found in 11:20-24, 18:8, ch. 23, 24:19, and 26:24 follows the Matthean tradition of connecting Jesus with the prophets of the Old Covenant. A study of this prophetic prefatory exclamative in particular, therefore, is beneficial both to a study in Prophetic Literature, Christology, and New Testament studies as well. This short paper, will examine the usage of ‘woe’ (Heb. hoy; Gk. ouaf), and its use with the prophets Micah (2:1-5) and Amos (5:18-20) as a form of prophetic speech. Here, from its early usage the Old Testament hoy is used in a lamentation context for the purpose of displaying an outburst of emotion. Later it will be used to describe funeral lament (1 Kgs. 13:30) and to attract attention (Isa. 55:1), and predominately occurring in prophetic speeches, usually in a series of such, and also to signal the announcement of impending destruction. Archer also notes that some scholars (of whom he omits) attribute the origin of the woe oracle to the cultic practice of curses (Cf. Deut 27:15-26); others, to the funerary lament. Yet, as we will witness below with Amos, sometimes hoy is simply used to get draw the attention of the hearer, rather than as a prelude to issue a summary judgment. Following the pattern of ‘woe speech’, Micah begins with the woe interjection, and then tells us who he addressing, which in this case is, “those who devise wickedness and work evil upon their beds.” Continuing along the formula, he needs to address what these people particular offenses against God are, which, in this case, is using their power to seize the fields they covet; thereby oppressing the man whom owned the land, by taking his home and inheritance away. Then in verses 3 through 5, Micah concludes the formula of ‘woe speech’ by predicting God’s divine judgment here. Interestingly, Micah begins the final portion of his oracle with another common prophetic tool, “thus says the Lord”. For those who have devised wickedness by wrongfully seizing the land of others, their punishment will be that the Lord will bring the same kind of evil on them that they brought upon others; that is, they will not allotment of land in the assembly of the Lord. Amos was a sheep breeder of Tekoa in Judah, who prophesied in the Northern Kingdom during the reign of Jeroboam II. His poetic oracles, filled with agrarian imagery, railed against the hollow prosperity of Israel. The book of Amos consists of oracles against nations, summons to hear the Word of the Lord, a series of three woes, symbolic visions, and an epilogue concerning the restoration under a Davidic King. What is interesting here is that inasmuch as we can assign Amos’ ‘woe speech’ to that particular genre of Prophetical literature on the basis of only the word hoy, we have to admit that the essential formulaic properties that we saw with Micah are present, but arranged differently here. While there is an naming of who the hoy is being assigned to (“you who desire the day of the Lord,” “those who are at ease in Zion,” and “those who lie upon beds of ivory, and stretch themselves upon their couches, and eat lambs from the flock . . .”), the description of their offenses seem to be contained in their assigned group name (pretentious/fake religion, complacency/placing trust in wealth/idolatry, and pride/idleness). As the final part of the formula – divine judgment – that comes in 6:9-14. Citing J. J. M. Roberts, Michael L. Barre notes that Amos is only using hoy here to get the hearer’s attention, rather than to issue a summary judgment. Roberts may be referring to the fact that Amos’ ‘woe speech’ departs from the tradition of these types of interjection we have seen from the Prophets. Yet, being that Amos does pull together all the elements in the an arrangement unique to him, we can still attest that Amos’ hoy interjections, does fit in the genre of Prophetic ‘woe speech’. While Micah’s and Amos’ woe speeches are being addressed to different types of offenders, the purpose of the oracle remains the same. They are serving their function as prophets to denounce the people and actions that offend God, warn them of the judgment that will certainly befall them, and champion the cause of the law, which is to stir God’s people to holiness. L’Heureux, Conrad E. “Numbers.” The New Jerome Biblical Commentary. Ed. Brown, Raymond E., Joseph Fitzmyer, and Roland Murphy. Englewood Cliffs, N.J.: Prentice-Hall, 1990. 88. Print. Archer, Kenneth J. “Woe.” Eerdman’s Dictionary of the Bible. Myers, Allen C., Beck, Astrid B. Grand Rapids, Michigan: William B. Eerdman’s Publishing Company, 2000. 1385. Print. Verses 15 – 26 consist of 12 curses; all of which begins with the opening interjection, “Cursed be . . .”. This contrast by Archer may be a stretch, or this form of speech by the prophets was a development, because, clearly, what is taking place in Deuteronomy 27 is covenant ceremony, lead by the Levitical priesthood, to which the community affirms their assent to the condition of the covenant by saying “Amen” after each directive is issued. More comparable with this ceremony is what happens during the Sacrament of Baptism during a Catholic Mass, where the community renews their Baptism promises with the initiate. While the prophetic exclamation has a similar interjection pattern (woe to <insert name here> <insert description of evil deeds here> and <insert prediction of divine judgment here>), no one ever responds in agreement with the prophet by saying “amen”, and the exclamation by the prophet only echoes and points to the covenant, rather than binding it. The Holy Bible. Revised Standard. 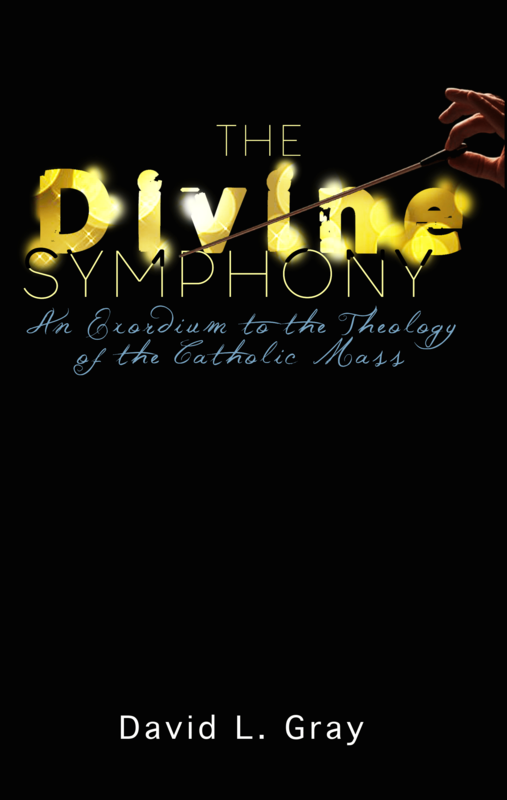 Second Catholic Edition. San Francisco: Ignatius Press, 2006. Print. Coveting the property of neighbor is an offense against God according to the Decalogue (10 Commandments) (Cf. Exo. 20:17; 34:24; Dt. 5:21). It harms the order that God established by allotting lands to His people by tribes and families. Barre, Michael L. “Numbers.” The New Jerome Biblical Commentary. Ed. Brown, Raymond E., Joseph Fitzmyer and Roland Murphy. Englewood Cliffs, N.J.: Prentice-Hall, 1990. 214. Print.